I don't believe you can purchase these bags any longer. 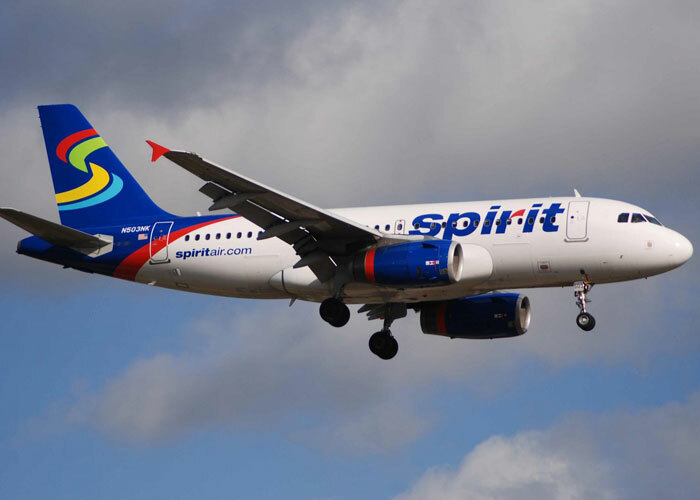 It is rumored that Spirit Airlines actually bought out this company, but it may be that they are always sold out due to high demand. It has also been brought to my attention that Spirit has changed their baggage allowance. Looking for a flight to Las Vegas several weeks ago, I came across a deal on Spirit Air, but I didn’t quickly pull the trigger on it, because I knew that I would have to pay for whatever luggage I brought, whether it was carry-on or checked. While I understand that Spirit is a low-cost carrier, I also don’t think I should have to pay for a carry-on. It would not have made my airfare cheaper than other fares I found, so I ended up booking through another carrier. Looking through the fine print on the Spirit Air website, it appears that any carry-on you bring that fits under the seat in front of you is actually free, though they don’t advertise this in an easily accessible way and most people have enough trouble packing light. Packing an even smaller bag may seem a lot more daunting and stressful. In the middle of trying to find out more about the Spirit Air carry-on rules, I found a link on one of my favorite travel sites, FareCompare, in an article talking about Spirit’s constant complaints of the new airfare rules that let me to info about Brent Hopkins, a frequent traveler on Spirit, and his new bag that conformed to their free carry-on rules. I was intrigued. 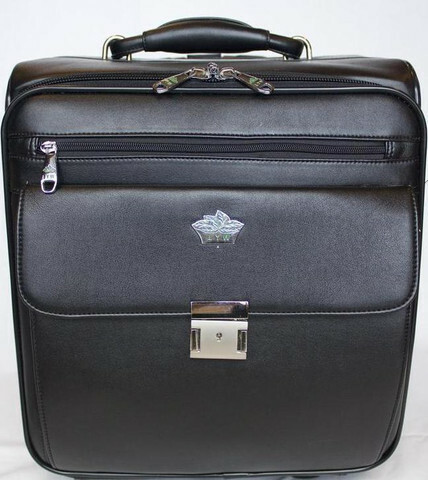 The CarryOn Free bag sounded like a bag that could be perfect for business travelers, weekenders, and those that want to travel with just a carry-on and can’t lift their bags into the overhead bin without help (or find that it’s always full). 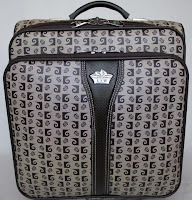 I was pretty thrilled to get the chance to review this bag, as I thought it would be a benefit to many of my readers, especially those with children that need to cut down on transit time and baggage fees on several bags can be totally unaffordable and unrealistic. This bag is so compact, that even little ones can pull it around behind them and it won’t be cumbersome if parents find they have to carry more than their own. 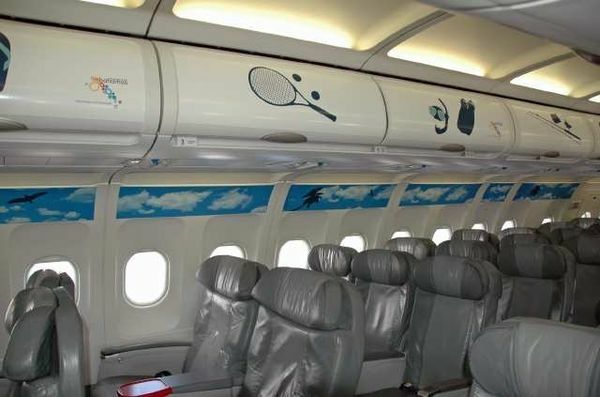 Spirit Air’s underseat dimensions are just 16″x14″x12″. (Technically, these are the free allowance dimensions. 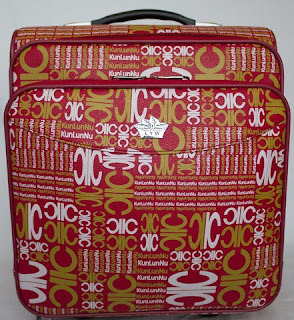 Your CarryOn Free bag won't actually fit under the seat on all planes, but will still fly for free.) While this seems small, just think of how much you can usually cram into the normal carry-on you bring to fit under the seat. Working with these dimensions, Brent set out to design a bag with specs that would conform to the “bag sizer” they have, and use, at boarding. What was born was the CarryOn Free bag. It comes in six different designs and doesn’t waste space with unnecessary pockets and dividers. Here's what you can save on just Spirit flights with this little bag: carry-on bags going in the overhead - $20-45 each way. Checked bags - $18-33 each way. While I was a little disappointed to see that there were only two pockets on the whole bag – one inside and one outside – I was genuinely surprised by the capacity of it. Each bag is built a little bit different, so there’s going to be one that is aesthetically pleasing to you, as well as fitting for your travel style. I received Vermillion, which I was eyeing to begin with. If you’ve been reading this blog for any amount of time, you know full-well that I love a bag that is unlike others and a color other than black is usually at the top of my list. If you don’t like it, it’s okay. There are five other bags with less wild fabric choices. And if you like black, you should be happy with the selections. I was eager to test out this bag and see if you could get enough in for a weekend, since the videos I found of others who packed it, they didn’t include underwear or toiletries or shoes. I don’t know about you, but those are pretty imperative to my travels. Brent claims the bag has been successfully tested to hold up to 10 days’ worth of clothing. 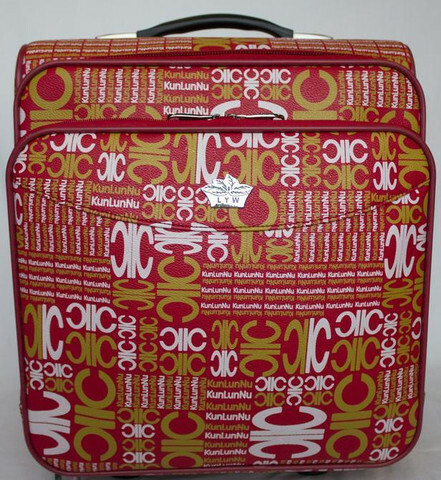 I also realized that if I was only allowed one free carry-on, then I would have to use this bag as my purse, too. I like a challenge. I set out to pack it as I would for my four day trip to St. George next month. The big items go in first, as they take up the most room and can't be folded to fit better. I put my toiletry bag on the bottom and then my boots. All my clothing was rolled - as usual - and packed in the layer on top of the shoes. Obviously, this left a few pockets of room, which I quickly filled with socks and underwear. In the layer on top of the clothing, I added my iGo and tips, GPS (since I will be renting a car) flip flops (because you never know when you'll need them), 3-1-1 bag and small cross-body bag. With a little creative packing, I was able to fit my netbook and charger in the provided pocket (below). 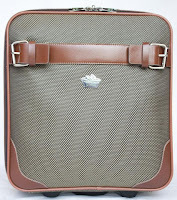 You could also use this for your iPad, ereader or anything else that you'd like to be protected and easily accessible. In the front pocket, which I thought would not be useful once the bag was packed, proved to be another surprise, I fit my slim wallet in there, which would hold my passport (if needed), most useful credit card(s), boarding pass and any cash. Aside from that, a few 100-calorie packs and a box of candy fit in there. Perfect for small gifts for your host! If you're a bit of an organizational nut, I tested this out with one of my Eagle Creek Pack-It cubes (the smaller ones might be more suitable for this) and was able to fit all my clothing in the half cube, which you can see below. It fit pretty much perfectly in the bottom on its side, then the toiletry bag and boots were put in, for maximum free space. In the open spots, my iGo, underwear, socks, flip flops and GPS were easily packed. As you can see, this left enough room for my handbag and 3-1-1. There was still enough space in there for a book or a few games if needed. If not, you have space to bring home some small souvenirs. Obviously, I may have made a bit of extra room by using the inside straps and compressing items a little more. With my extra room, I packed my iPad in with my netbook. They both fit easily in the inside pocket, so they are both protected from all my other packed items, but also accessible for when going through airport security. I was able to pack enough clothing for a week, including extra shoes, toiletries and gadgets. Had I needed to, I could have replaced one of my sweaters with a lightweight skirt and top or even a dress. If traveling in the warmer months, you could pack a week's worth of clothing in shorts, t-shirts and tanks and have plenty of room left over for your sun hat and bathing suit. As compact as this bag is, it has enough room for all of your essentials. Each traveler can bring their own and be able to waltz right off the plane and on your way to your hotel. 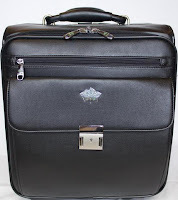 The CarryOn Free bag is not only perfect for business travelers and those that regularly fly on Spirit Air, but it is also fantastic for those that just don't want to be weighted down by their "stuff". Tight connections are a breeze, because you can weave though airport foot traffic with ease with this compact traveler. You'll never have to loiter at baggage claim, waiting for your suitcase. 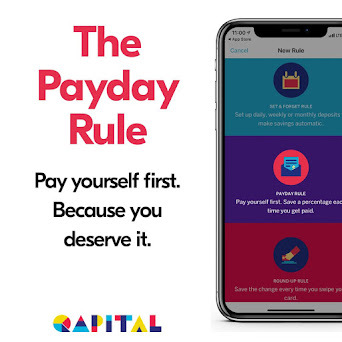 And if heading straight from the airport to a business meeting, it won't be an obtrusive third wheel, as it can sit, unnoticed near the door or under the table at a restaurant. Save all that money on baggage fees while also feeling less like you have "baggage". 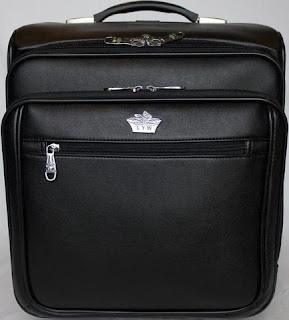 What are the CarryOn Free bags made of? The outside of the bag is either made of polyurethane or reinforced polyvinyl chloride that is resistant to scrapes and tears. Where can you buy it? 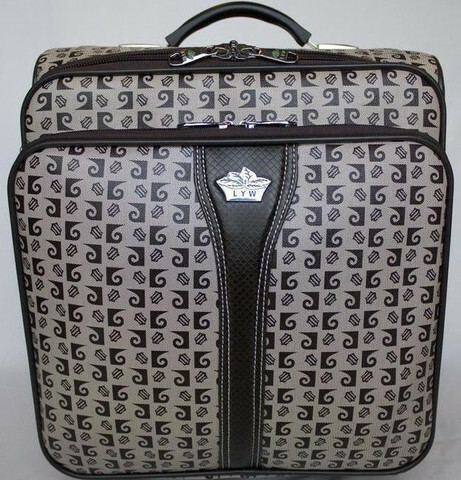 Right now, you can only buy the CarryOn Free bag on the CarryOn website. How much is it? As of right now, all bags are $54.99 each (plus shipping). 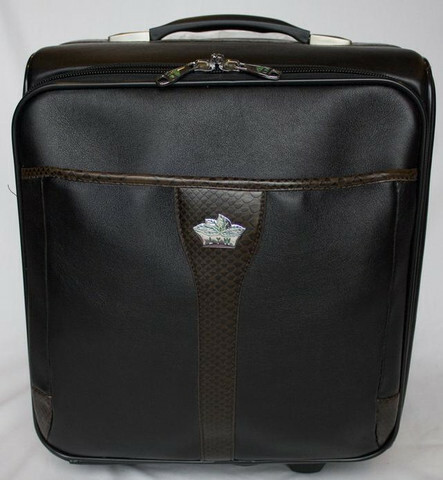 Other specs: Each bag weighs 7-8 lbs empty, comes with a combination lock, a rear name tag, 23" telescoping handle and convenient padded handle on top for pulling out from under the airplane seat and carrying. Disclosure: I was provided a CarryOn Free bag for the purposes of this review, but all opinions and thoughts (and most photos) are my own. I'm curious what the EXTERNAL dimensions of the bag are. 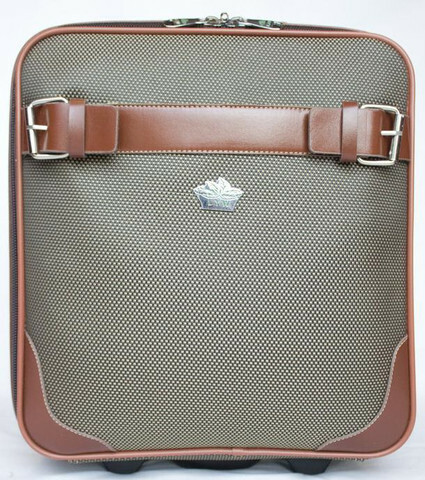 I'm thinking of buying the CarryOn Free bag, but the company website only states the INTERNAL dimensions (14.5 x 13.5 x 9.0). Did the outside of the bag measure up to exactly 16.0 x 14.0 x 12.0? This would be really good for me to know in order to compare this bag to other options (notably the American Tourister Atmosphera Rolling Tote and the Travelon Dolphin). Ian, the external dimenisions are just under the limit for what Spirit considers and underseat bag, so they are very close to 16 x 14 x 12.